Bunny Jackson’s “re-opened” in First Street in November 2017. 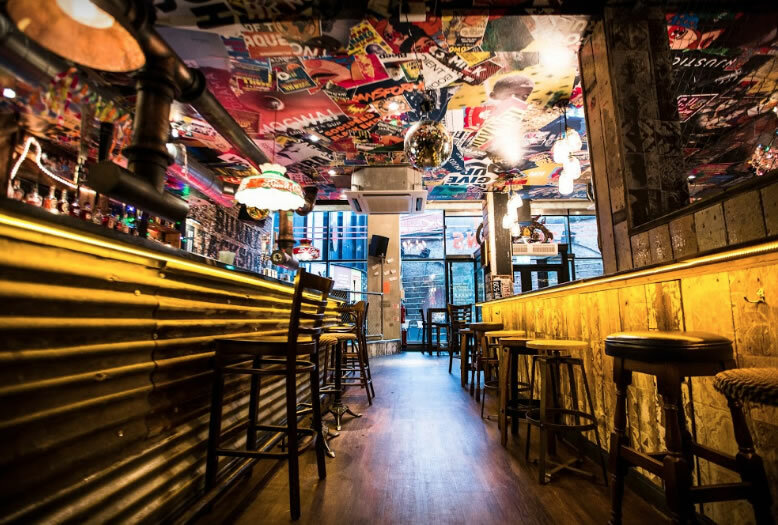 It was originally a “pop up” place which was on B/Eat Street on Deansgate Mews – but then B.Eat Street closed last summer – but now its found a more permanent place. It was brought back by the people behind Junkyard Golf Club – which is also located in First Street. I came her with a couple friends on a Wednesday when they have the special 10p wings deal. Each wing is just 10p – you get choice between BBQ flavour or hot wing flavour. We basically shared as a group but I ordered 35 BBQ wings – when the plate came, it looks more than 35! In hindsight, 35 was probably a bit too much! They tasted good – although if I am honest, after so many wings, the BBQ flavour got a bit “too much”. I tried some of the hot wings also and they were pretty good – although I am not as good with spicy stuff. 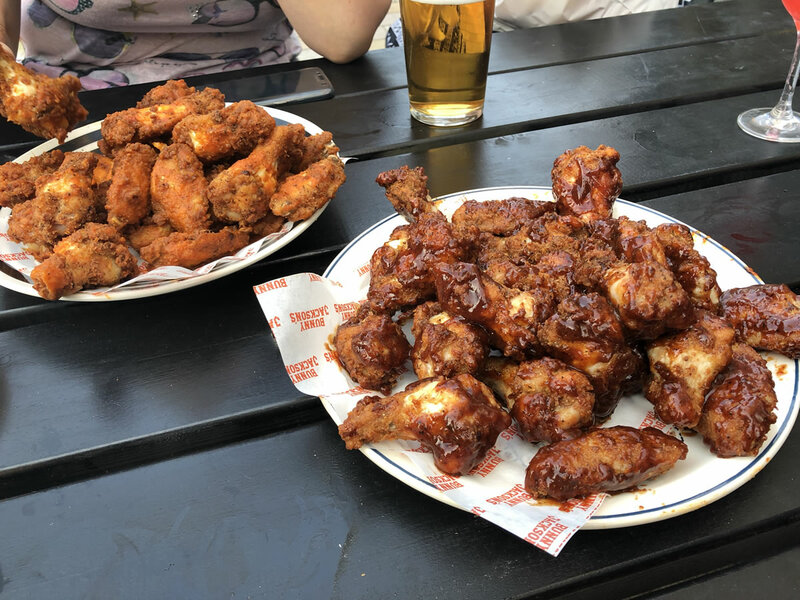 I only took one photo – and this shows a plate of 20 BBQ wings and 20 hot wings – looks more than 20 on each plate?? Apart from wings, the rest of menu is all American/Southern American stuff – including po’ boys, sliders, chicken tenders, meatball subs, grilled cheese. Lots of different Southern American type of sandwiches. (One thing to note is that on Wednesday when they have the 10p wings deal, they do NOT sell anything else from the menu. The kitchen is very small so its just doing the wings). Free hot dogs – if the chef has gone home, you get free hot dog with your drink – from the bar after 9pm, every day. If you ever want a place to watch American sport (MLB, NBA, NFL) while playing free pool and arcade games (and live music – not necessarily at the same time), then Bunny Jackson’s is the place for you.